...your luxury, modern, private villas in the heart of Ragusa, Sicily. 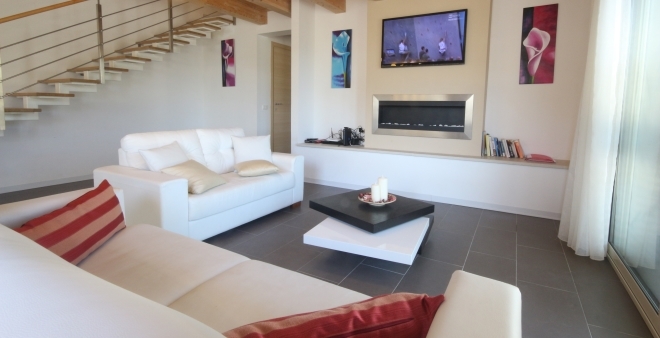 Recently built two modern luxurious villas with full comforts for a wonderful relaxing holiday in Sicily. A wonderful pool with direct sunshine all day long shared by only the two villas fully private from the road. Both villas are fully equipped with all the comforts expected in a luxury holiday accommodation. Mature olive grove, well kept garden with flowers adds more to the relaxing atmosphere during your stay. At the heart of the Hyblaean Mountains, it is easy to immerse yourself into the beauty of nature. We provide additional tailor-made services for your needs. Speak to us and we will be ready to help! At Villa Rental Sicily we have the right holiday villa for you whatever your holiday preference is, or the size of your group. Renting holiday villas direct from the owner is the perfect hotel alternative if you want space, privacy, luxury and value for money. You will save money for every travelling person and will be able to experience life like a local in your chosen destination. 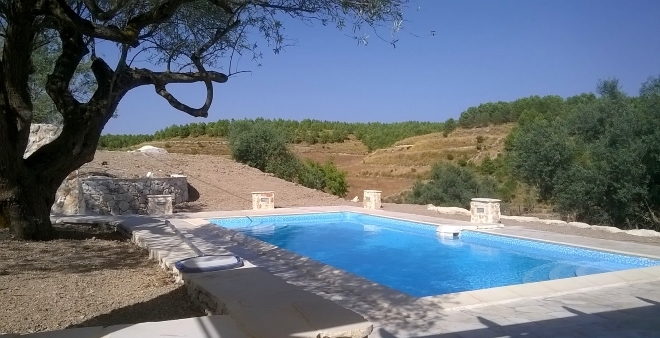 Villa Rental Sicily are two newly built villas at the heart of the Hyblaean Mountains in the southern part of Sicily in The province of Ragusa. The villas have three and two bedrooms respectively, with a shared pool of over 45 square metres. The villas are close to each other, yet away enough for complete privacy if required. Accommodation Cost - A hotel accommodation for three people (2 adults and 1 child or 3 adults) etc. it will cost you more than a double bed villa. If you stay longer than 7 days, or a larger group savings will be even greater! Accommodation Space – These villas have over 100 square metres of internal floor space - excluding the outdoor paved area, pool area and cultured land. You will find NO hotel room with this space! Fully-equipped – All rooms of the villas are fully equipped. We continuously add items in the villas to make them more comfortable. we want each guest to feel like being at home! And from our past guest reviews, we have been successful in this! Comfortable & fully-equipped kitchen – If you want to save money on eating in a restaurant every day, a fully equipped kitchen is at your disposal, including also an outdoor BBQ and outdoor dining area. Parking – Some hotels do not have parking or offer parking at a cost. The villas are secured through a private gate, where ample parking space is available inside the property for free. Location – the location of the villas is well positioned in the middle between Modica and Ragusa - they are only 20 minutes far by car. The nearest villages of Giarratana and San Giacomo are only 5 minutes far. One can find markets, petrol stations, butchers, bakeries, pharmacies, health clinics, bars and restaurants. Other nearby villages not to miss are Monterosso Almo, Chiaramonte Gulfi, Frigitini, Vizzini, Buccheri, and Pozzallo apart from much more. The beautiful clear beaches of Marina di Ragusa, Marina di Modica, Sampieri, Pozzallo and Donnalucata are just 45 minutes far. Since the villas are in the countryside, a car is a must to explore the area. Pool – We strive to provide the top luxury properties in the province of Ragusa and the outdoor and pool area will exceed your expectations! The pool and the surrounding decking area is the highlight of our two villas sharing this area. The pool is available until early Autumn as long as the weather permits. Since we are a very small group of experienced holiday owners and travellers, we know what you expect from high standard holiday homes! With this in mind our luxury rural villas provide the best value for money for such kind of properties which provide a high standard of comfort and a full range of amenities. So you can rest assured that if you book any of our villas you will spend your holiday in complete comfort and style. Feel free to browse our villas and if you cannot find what you are looking for please feel free to contact us or call us on 00356 99584203 with any queries that you can have and we will be glad to help you. If you book directly from us you will avoid middle agents so you will pay less for the same villa! We own the villas, so it is of prime importance for us that your stay in any of our properties is unforgettable. We want you to tell your friends of how comfortable was your stay with us! Anything you need before, during and even after your stay, please speak to us! You want to eat some delicious traditional Sicilian food? You want to know the best restaurants to eat? Best places to visit? We are here to help! Villa Rental Sicily © 2014. All Rights Reserved.